Lent starts in one week. I’ve added several new ideas to last year’s lenten ideas post. And free printables, for the few of you who might like that sort of thing. I am adding new ideas to my celebrating the church year posts as we come around to them again. This Friday is Epiphany! I am really looking forward to blessing our new home for the first time. (like this, but with 2012!) 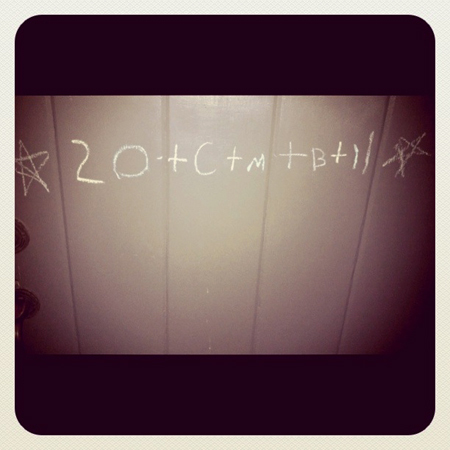 If you’d like some ideas, you can see them all here: Epiphany and Blessing Your Home. I am excited about all the possibilities, I think every family (newly married, older or younger kids, all types of learners) can find some meaningful way to celebrate together. I’d love to hear about your plans, if you’ve made any. Part of a continuing series on celebrating the church year. Before I jump in with my usual list of ideas, I want to note that for some people, Christmas is not the most wonderful time of the year. It reminds them of old pain, or of all the ways things are not the way they are supposed to be. This advent sermon by Jeremy Jones is worth listening to if you or someone you love is suffering this Christmas. The twelve days of Christmas stretch from Christmas to Twelfth Night (January 5th.) It is one of the great feasts of the church, and a time of joy.Â For me celebrating Advent is the only way to stretch Christmas out throughout the season without hitting fatigue. So, consider these suggestions with that in mind! Obviously, most people celebrate Christmas by giving gifts. It’s a good opportunity to share joy with ones we love. Perhaps you can start some fun family traditions for the Christmas season, like playing games or a special read aloud. One of the ways you can continue your Christmas celebration is by keeping up your decorations for all twelve days. Leave out your nativity scenes to play with, moving the wise men as they follow the star (to arrive on Epiphany.) You can sing carols and light your advent wreath (all four outer candles and a center Christ candle) at meals. 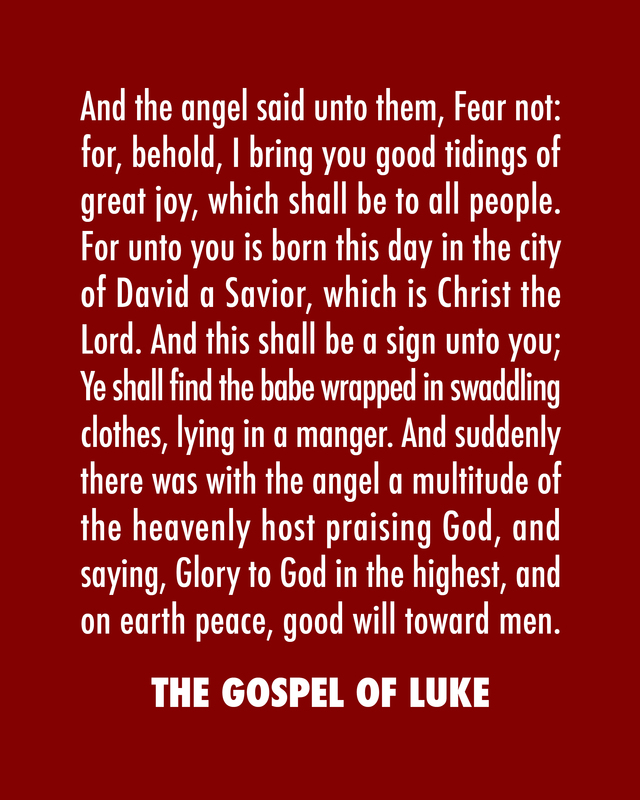 Many families have Christmas traditions that emphasize Jesus’ birthday, serving a special cake or decorating with Happy Birthday Jesus signs. Save your new years dieting resolutions one week, and keep baking and feasting throughout Christmas. The last several years, I haven’t started baking until Dec 15th at the very earliest, and gave most of that away. Later in Christmas is a good time to throw a party. In both Richmond and Birmingham, we had friends with that tradition. Most everyone is back home for Twelfth Night, and there are less conflicts than in December! What are your family Christmas traditions? Any good ideas for celebrating for 12 days? May your days be filled with joy! City Church Philadelphia has a good Advent Prayer Guide that is simple and not too time-consuming. I made a few Advent printables (8×10) for y’all. Absolutely free decor to put next to your wreath or Jesse Tree. Seems like everyone needs some good Christmastide songs on the cheap. Have you downloaded these two Argyle Project eps? Some really good songs for free. Noisetrade has some great downloads too, like Drew Holcomb’s A Neighborly Christmas. Friends of this blog know how much I love Andrew Peterson’s Behold the Lamb of God, you can stream the whole album here. 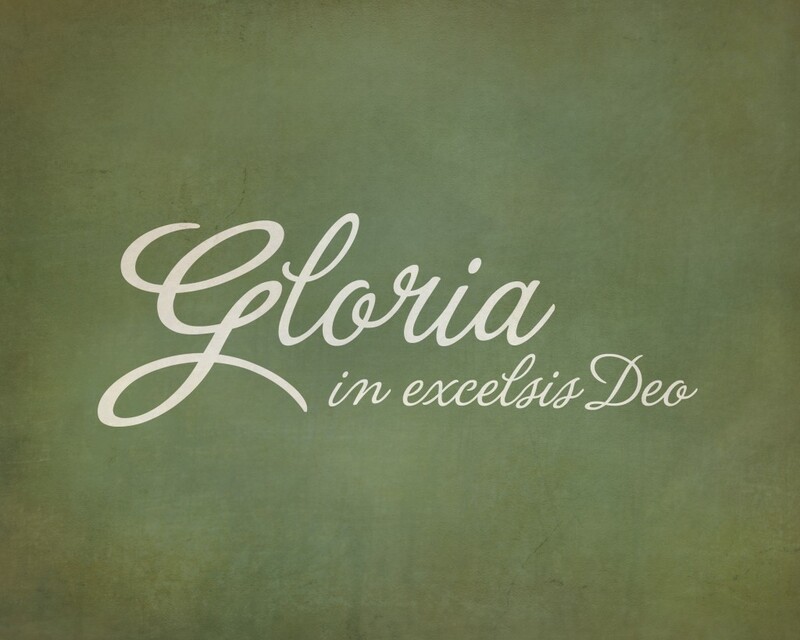 Finding good advent songs is a challenge, so I will share a little playlist on spotify. Unfortunately, some songs aren’t available if you don’t own them. If you want to stream or purchase a few, check out Cardiphonia’s By All Adored for a few obscure songs that are really good. Kate keeps requesting Mike Crawford’s Life Up Your Heads, which is also available to stream or buy at bandcamp. Advent means coming. It is a season of waiting and expectation where we remember the longing of God’s people for a savior and our own longing for things to be made new in Christ’s second coming. We live in the in between, and Advent is a time of focusing on the hope we have in His return. Advent is the first season in the church year, beginning four Sundays before Christmas and ending Christmas Eve. Celebrating Advent at home is a way of focusing on the incarnation during the busy holiday season. I love to gather and give ideas for celebrating at home, there are so many great things we could do! One helpful way of thinking about it is to determine what you want to make a solid tradition, what you are growing into, what you are doing for a season. The backbone of your celebration might be something as simple as lighting candles, but it is something you can do with children of any age and something they will remember for a lifetime. You can fill in with activities and practices more tailored to where your family is at right now. A basic symbol of the Advent season is the advent wreath. Traditionally it is an evergreen circle with four candles for the four weeks of Advent, and an optional center Christ candle. Most traditions use three purple candles, one pink, and a white Christ candle. Different people have different ideas about what the candles stand for, but the pink candle is typically used the third week of Advent and represents joy. You light one candle during the first week of Advent, two during the second, and so forth. Redeemer San Antonio (PCA) has put together a good weekly devotional to use with an advent wreath. 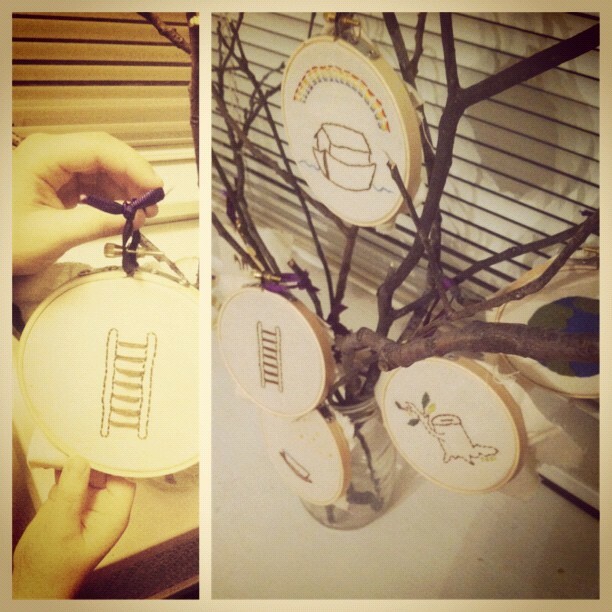 To guide children through the Old Testament story of waiting for a redeemer, many families use a Jesse Tree with ornaments made from symbols that represent the stories for each day. This is a newer practice and there isn’t one set of symbols everyone uses. I ended up creating my own list of symbols and corresponding readings that incorporated both familiar stories and important ones that don’t end up in many story bibles, and wrote some meditations and prayers to go along with them. My friend Stephanie has a different list, with similar daily devotions. The RCA has a guide appropriate for preschoolers. If you like the idea, but want to skip the symbols and tree, a good way of doing this would be to read through the Old Testament stories in the Jesus Storybook Bible during the Advent season. 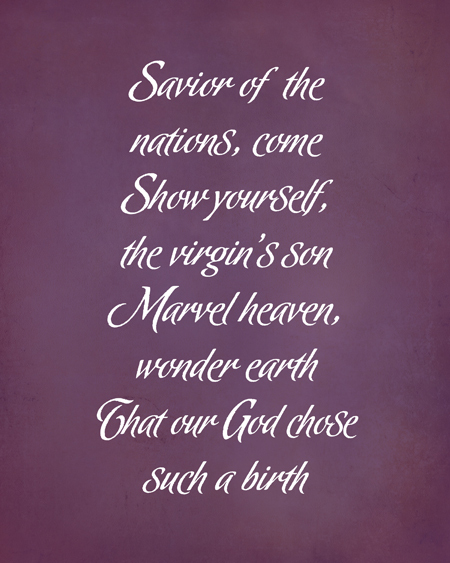 I like Christ the King PCA’s daily Advent devotional, though the emphasis is more focused on Christmas itself. Some families set up the stable of a creche the first week of advent, with any animals and begin Mary and Joseph’s slow journey to Bethlehem. The shepherds and sheep can be nearby and the Wise men far off. Each day during advent they move Mary and Joseph a little closer to the stable, to arrive Christmas Eve. (This works well if you have a nativity set your children can’t break!) If I had a collection of creches, I’d display complete sets with one coming together through the season. On Christmas, the shepherds come and the wise men start their journey, arriving January 6th. Advent calendars have become popular in both Christian and secular circles as a way to count down the days. There are so many cute ideas for crafting them. We have a wooden calendar, and I fill each day with a treat or a note about something we are doing that day to celebrate, even simple things we’d do anyway like “make hot chocolate after school” and “bake cookies for the neighbors.” You could make a paper chain of these sorts of ideas as a “calendar” with a stapler and a few sheets of construction paper. We love to sing during Advent. 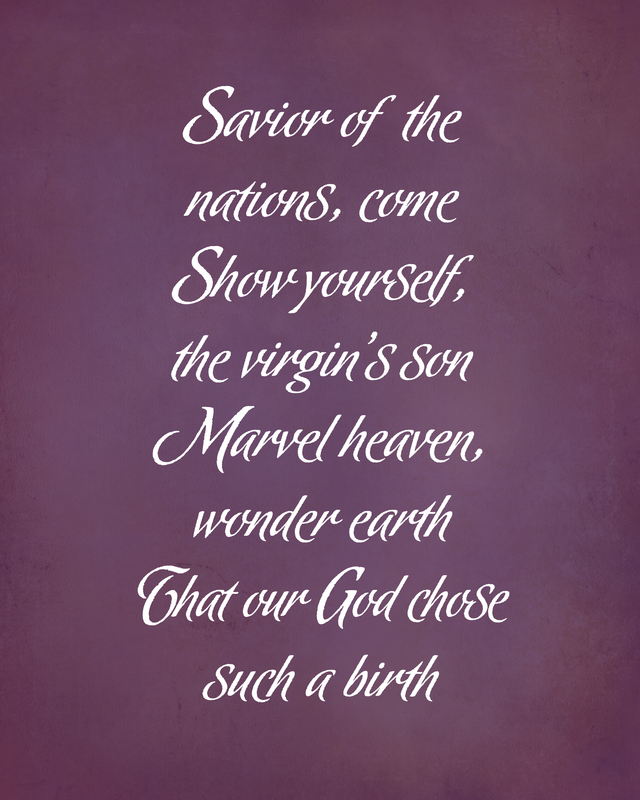 There are many great Advent hymns, “O Come, O Come Emmanuel,” “Come Thou Long-Expected Jesus,” “Comfort, Comfort Ye My People” and “Savior of the Nations Come” are some of my favorites. When you have already been hearing Christmas music everywhere for weeks, it’s hard to NOT sing Christmas carols during Advent. I prefer to stick to Advent only for the first two weeks and start adding in some Christmas carols during the third week. We also delay putting up our tree until that point as well, to give Advent some time all its own. Some people don’t put one up until Christmas Eve, so I think of my “third week” rule of thumb as a good middle ground. I really enjoyed reading about how Kelly has started putting up her tree at the beginning of Advent and using Chrismons (symbols of Christ) as ornaments until Christmas Eve, when they add Christmas ornaments. 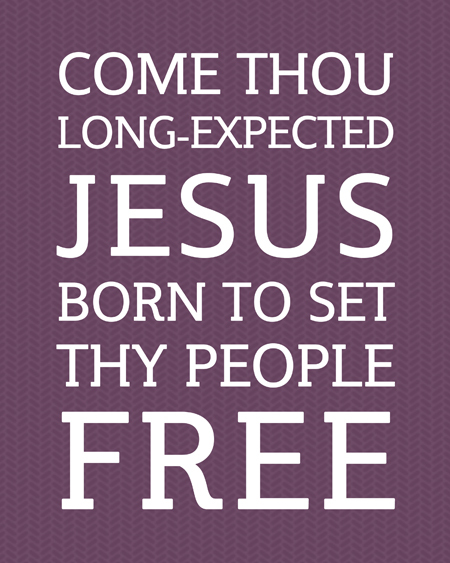 If you need some advent decor, I made a few free printables you can find here. I plan on making every conceivable paper star (and I think I’ve pinned them all on Pinterest) as an Advent craft. Stars are part of our Jesse Tree, and of course, in the Christmas story. And cutting / folding is right up Kate and Lexi’s alley these days. For teens and adults, Watch for the Light would be great devotional reading. City Church Philadelphia has a good Advent Prayer Guide that is simple and not too time-consuming. Advent is also a good time to try praying the Divine Hours. There are many Advent books for children, I’d love to hear about some of your favorites. And also, please share any Advent traditions you have in your family! 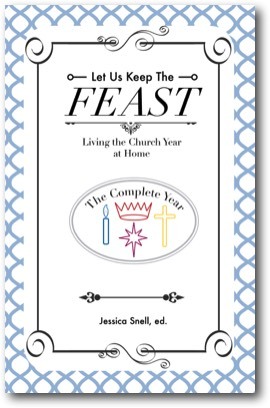 As Ordinary Time starts to wind down, there are a few feast days you may wish to celebrate at home. Many protestants, particularly Lutherans and Presbyterians, celebrate Reformation Day, either on the 31st of October or the preceding Sunday. As the name implies, it’s a day that the church remembers the reformation and honors the reformers. When I taught, we had a reformation day carnival and my favorite activity was “pin the 95 theses to the Wittenberg church door.” That would be pretty easy to do at home. The hymn that is most closely associated with the day is “A Mighty Fortress is Our God” which is a great one for children to learn. Ligoner is offering a free audio download of Dr. Sproul’s new children’s book about a barber’s encounter with Martin Luther: “The Barber Who Wanted to Pray” to celebrate Reformation Day. All Saints Day falls on November 1st, but is often celebrated on the following Sunday. 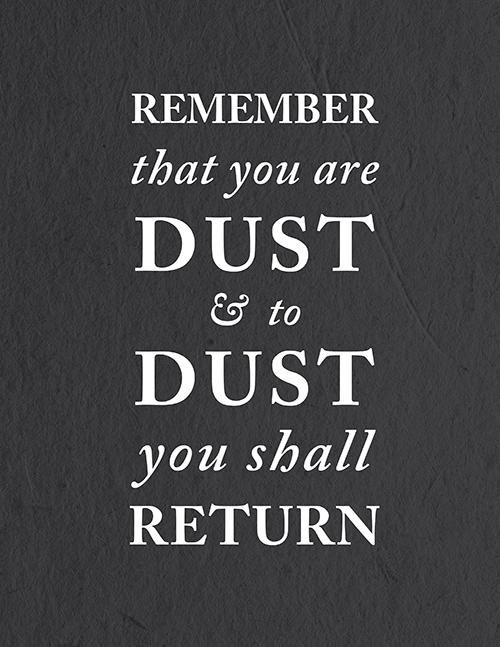 We remember all the saints who have gone before us, including those we know who have died in the faith and more famous “saints.” It is a good day to talk about and remember the resurrection of the body and the new heavens and the new earth. Roman Catholics observe this as a fast day. The last Sunday before Advent (falling somewhere in the week of November 20th to 26th) is the Feast of Christ the King. As Advent is the start of the liturgical year, it is ending with a bang, remembering the triumphant Lord in his office as king before the more contemplative season of Advent. 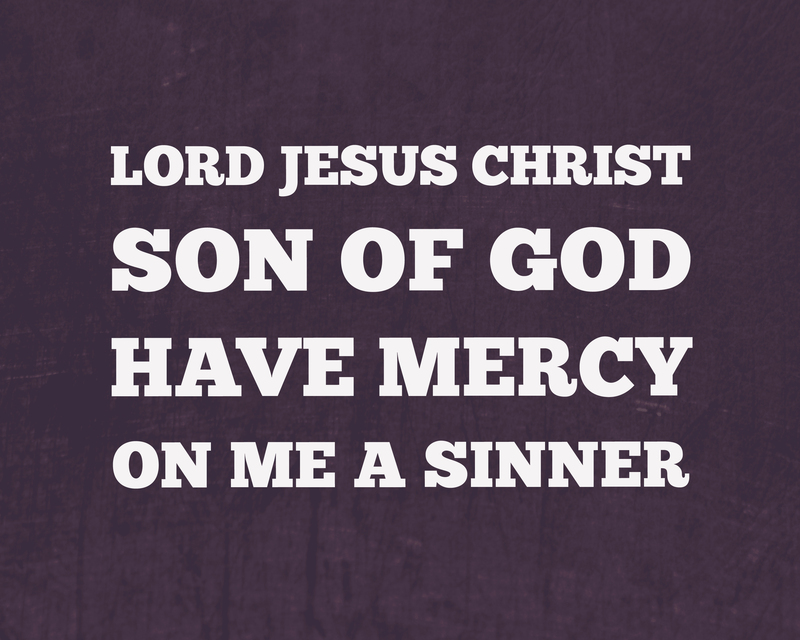 Jesus is our mediator as prophet, priest and king, and is a good to have a day to focus on how Jesus is our King. We will probably share a feast with friends and definitely spend some time talking about Jesus as king.